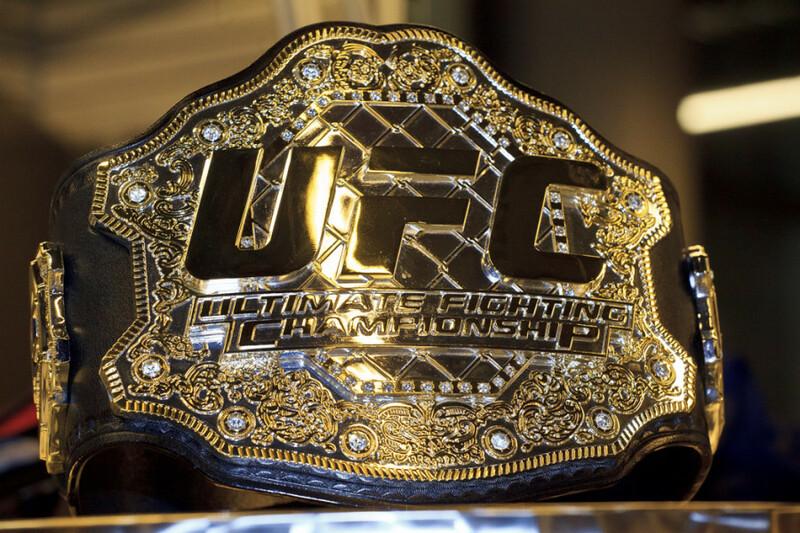 Ten months ago the war drums of promotion for UFC 173 began to sound, and UFC president Dana White boldly claimed that Renan Barao, his then-bantamweight champion, was the pound-for-pound best fighter in the world. While most pundits and fans disagreed with White, everyone agreed Barao was a great fighter. However, Barao’s challenger T.J. Dillashaw didn’t care about the hype. Dillashaw decimated Barao for most of the fight, before finishing him off with a flurry of strikes to earn a technical knockout victory. After negotiations for a rematch in March 2014 fell through, the two will have their rematch on April 25th at the Bell Centre for UFC 186: Dillashaw vs. Barao 2 on April 25. The card for UFC 186 features not one but two title fights, featuring a Bantamweight Championship rematch between champion T.J. Dillashaw and former champ Renan Barao and a Flyweight Championship fight between defending champion Demetrious Johnson and number one contender Kyoji Horiguchi. Dillashaw, sitting before the media in a press conference last Wednesday, remained confident that he could once again defeat Barao in April. “Round six,” a term for the potential rematch between Barao and Dillashaw, was originally scheduled back on Aug. 30, 2014 at UFC 177. The fight was cancelled a day before the scheduled date, after Barao collapsed in his hotel bathtub after losing too much weight in a short period of time. 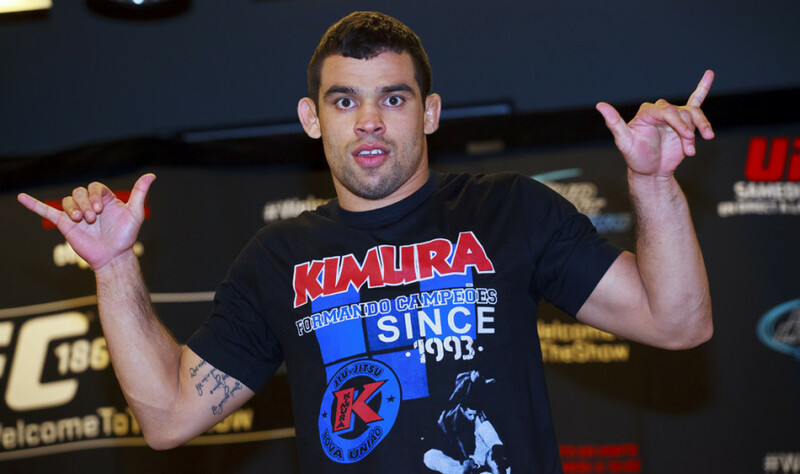 Barao assured the media that a similar episode would not happen again for his upcoming match. “We’re doing a lot of work with my team and it’s going to turn out 100 per cent fine this time,” said Barao. Because of his cancelled fight at UFC 177, Barao was forced to take another fight versus Canadian Mitch Gagnon in order to reclaim top contender status. Though Barao won the fight against Gagnon by an arm triangle choke in the third round, Dillashaw wasn’t fazed by Barao’s victory. UFC 186 will also feature a championship fight between flyweights Demetrious “Mighty Mouse” Johnson and Kyoji Horiguchi, whom were also present at Wednesday’s press conference. Johnson has been undefeated since dropping from 135 to 125 pounds and has defended his title four times in decisive fashion, including a decision over an EPO-fueled Ali Bagautinov at UFC 174 in June 2014. Despite that, Johnson, the best fighter in his weight class, has had trouble translating his in-ring success into any monetary payoff, as his last two main events have only drawn a combined 320,000 pay-per-view buys. 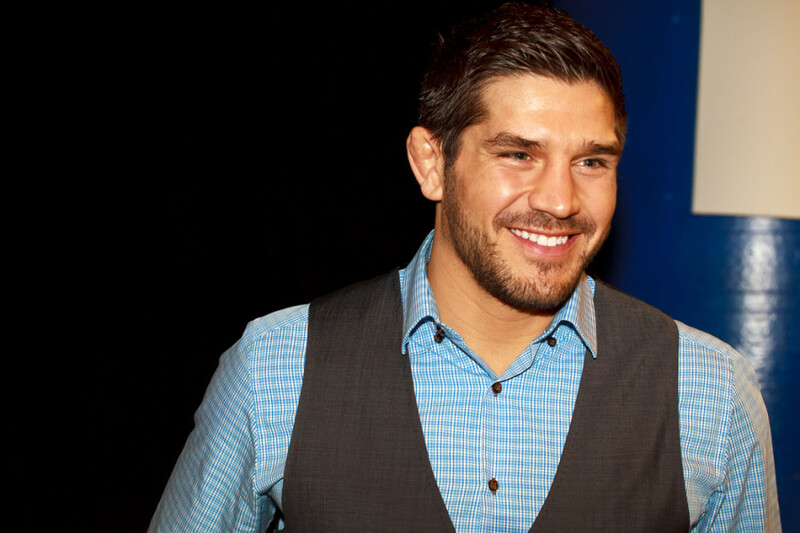 Other flyweight fighters like Ian McCall and John Dodson feel that Johnson needs to do more to promote his division. Johnson, however, doesn’t feel it is his responsibility to drive up any hype. Even if Johnson were to attempt to build up publicity for his title fight, it doesn’t seem that his dance partner would do much to help. While he hasn’t had much time to expose himself to the UFC masses, Horiguchi has done well in the octagon by knocking out two of his four UFC opponents. Whether it be through his fighting, or character building, Horiguchi will look to do as much damage in the cage come April 25. In the original article, it was written that Demetrious Johnson was the third best fighter in his weight class. He is in fact the number one fighter in his weight class. He is third in UFC pound-for-pound rankings. The Link regrets the error.